I was abruptly awakened and told, “The house is on fire. Go outside! As I ran out of my bedroom and into the hall my socks slipped on the polished oak floor. This chapter is set up using questions as headings for each section. The reason for this is so the chapter can be more engaging for the reader, they are questions to keep in mind when reading each section. By the end of this chapter the reader should understand what fear is, why we feel fear and how it motivates us. 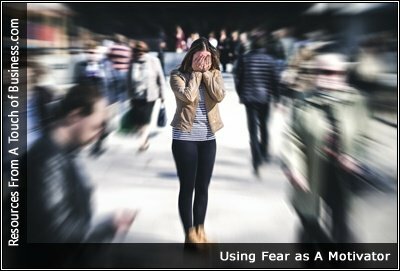 A study shows that people with certain personality traits respond to fear with an increased level of performance. Fear can be a strong motivator. People who are afraid of living in poverty may be motivated to pursue any career option in order to avoid financial destitution.